This Ammunition is compatible with the AR-15 Conversions. This Ammunition is compatible with the AR-15 Conversions. UTM products are a safe, reliable and accurate alternative to live ammunition- ideal for beginners, recreational and competition shooters. 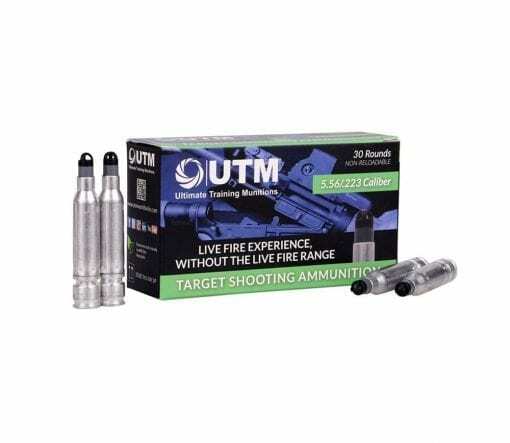 With lower velocities and projectile weight, the UTM Target Shooting Round is designed for complete safety and reliability, bringing target practice with your weapon to a whole new level – without the need for a range and free from live fire restrictions. 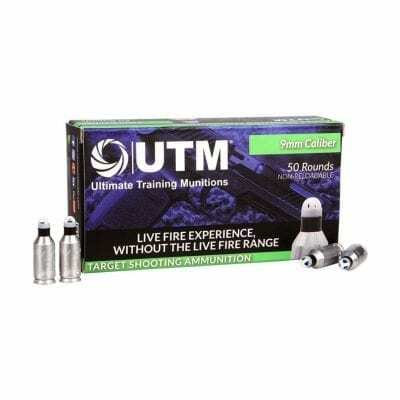 The UTM Target Shooting Round utilizes the same core technology the U.S. Military, Special Forces and Law Enforcement Agencies have been using in their operational weapons during training for nearly a decade. UNIQUE patented, proprietary and exclusive dual primer system and projectile driving band system. 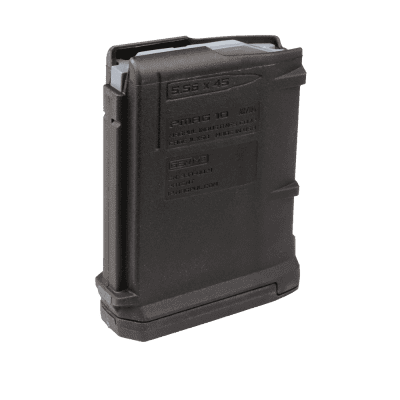 Easily convert your AR-15 style weapon to fire UTM Target Shooting Round in seconds with a Simple Bolt Carrier Group exchange – No Gunsmithing. The UTM Target Shooting Round will revolutionize and enhance how you practice and the target shooting industry. Now you have the freedom to target shoot virtually anywhere you want, when you want, practice and improve your skills and proficiency on your terms, and not use a single round of your live ammunition stock. It’s the perfect and safe training solution for off duty police officers, hunter, competition shooters, gun safety instructors or simply someone who enjoys the shooting sports.